Bands of heavy precip will start Thursday night and last through Sunday. The valley's will pick up much needed rain. Here is a look at the precip forecast through Monday. The map only goes up to 5 inches of liquid precip, but the conventional wisdom is that is low end for all of Tahoe. 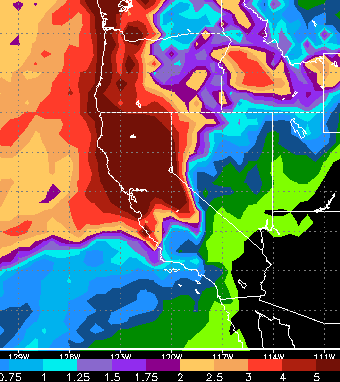 This is the EC model, the GFS is calling for more wind and less precip but at least 4-8 inches around all of Tahoe. The biggest concern over at the NWS is wind which should start Thursday as well. 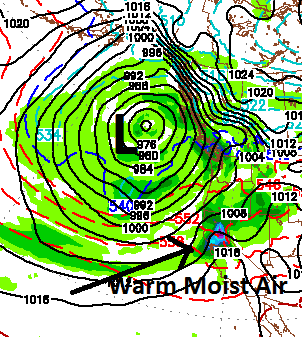 I will keep a close eye on this, pray for cold this could be the big one we have been waiting for!